My sixth Woolf and I’m glad I read others before this one or it would have been wasted on me. Woolf is so complex that I’m sure many a reader has come and left confused and disheartened by the attempt. I found this quite similar in its style to the lesser-known Jacob’s Room, but less accomplished. I’m not sure why this novel is one of her best-known. Perhaps you can enlighten me in the comments. Mrs Dalloway is planning a party which takes place the evening of the day which encompasses the timespan of the novel. In the morning she bustles about town, her mind both on the party and on images that surface from her past associations with various guests she expects. Woolf’s unconfined prose means that the novel, one continuous chapter of 150 pages or so, drifts from the thoughts of one character to another almost imperceptibly. 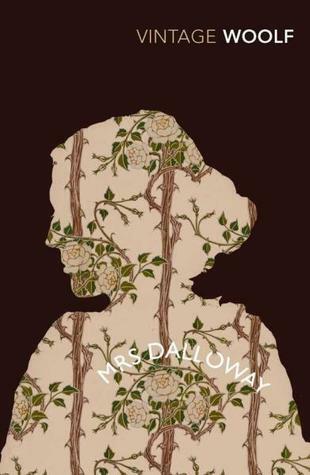 While Mrs Dalloway thinks of a particular character, we often thus find ourselves in their mind having wandered there across the bridge of imagination and thought. The great themes are class, the role of women and, what I found most interesting, an exploration of the lingering effects of WW1 combat on Septimus who eventually commits suicide in despair at anyone ever understanding why he feels the way he does. The novel is, I found, quite claustrophobic. Despite the lack of structure to the prose, you never feel like you have a completely free point of view on which to gaze at the characters involved. And you are also left to work hard to make the connections between each phrase, sometimes each word, of a long and dangling sentence if you are to squeeze the full meaning from each. I’m surprised there were any commas left in the English language after she’d finished this! So, it’s not an easy read, but, as with almost all Woolf, rewarding to those who make the effort. Her next novel was To The Lighthouse and I think this set her up to write something much, much more subtle and crafted with that.